The census showed the effect of industrialisation on employment and population in Ulster. Industrialisation in Ireland was most advanced in the north-eastern counties of Ulster (Antrim, Armagh, Londonderry and Down) and most particularly in Belfast. Fifty-one percent of the male workforce in Ulster was still employed in agriculture. However, figures varied greatly from county to county. In the eastern, more industrialised counties, agriculture accounted for the employment of a third of the male workforce, while in south and west Ulster 79% of men worked in agriculture. 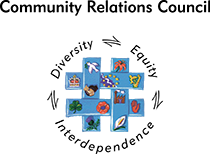 Belfast was the centre of industrialised Ulster. Its population had swollen to 329,180 (from 70,447 in 1841) due to migration from other parts of the country looking for work. The two shipbuilding yards in the city employed 12,000. The linen industry also employed thousands in the city and surrounding towns. Due to the success of these industries, other related companies sprang up in Belfast, such as the Belfast Rope Works, Mackie's and Combe Barbour engineering which produced linen machinery. 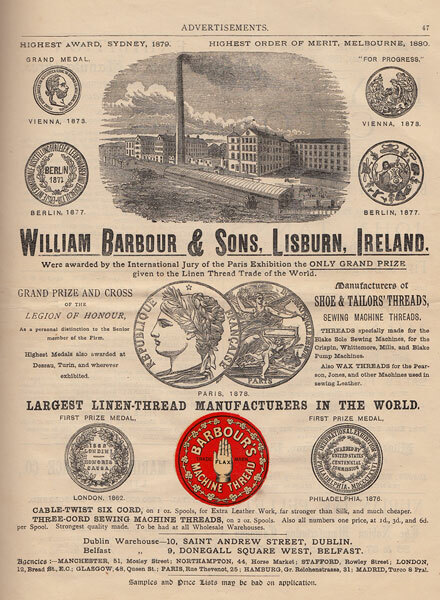 Advertisement for William Barbour & Sons.